Meet Flo and the rest of the DinerToons as youthful DinerTeens, working their first summer job at Mr. Big's theme park restaurants. 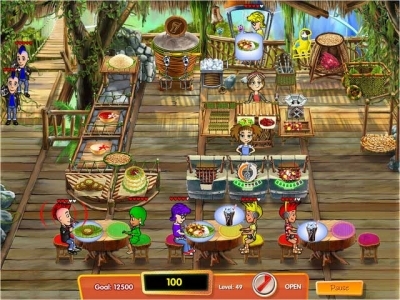 Serve sit-down customers, bag up food for Dash-Thru diners, revamp every restaurant in the park, while keeping your composure in this fast-paced Time Management game! 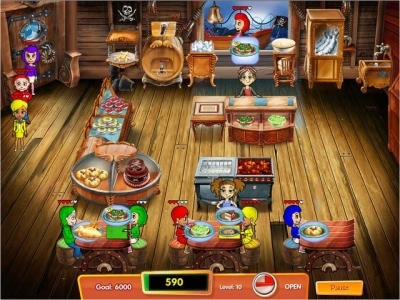 Fun themed venues like the Log Jam and Spooky Shack will keep you on your toes in Cooking Dash 3: Thrills and Spills!